Product #21934 | SKU SHM-UC2 | 0.0 (no ratings yet) Thanks for your rating! Designed for use with side-address cylindrical microphones, the SHM-UC2 Clamping Suspension Shockmount for Side-Address Microphones from Auray helps prevent shock and vibration that often travel through your stand from affecting your mic's performance. 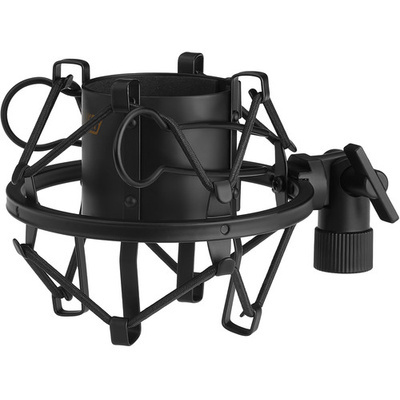 It features all-metal construction with a felt-lined cylinder that protects your mic's finish in addition to providing added noise elimination. The shockmount has a 5/8"-27 thread for compatibility with most mic stands, and includes a 3/8"-16 adapter for further compatibility.